BERLIN – A dry cleaning company with locations throughout Delmarva has taken over Venable’s Cleaners in Berlin. 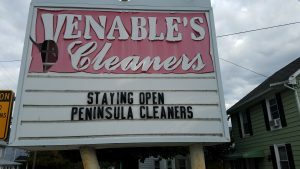 Venable’s Cleaners, which has operated in Berlin since 1924, will stay open but will now be known as Peninsula Cleaners. 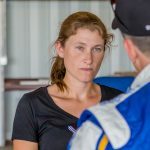 The William Street store will be Peninsula Cleaners’ seventh location. Kypreos said he heard through word of mouth a few weeks ago that Venable’s Cleaners in Berlin would be closing up for good. 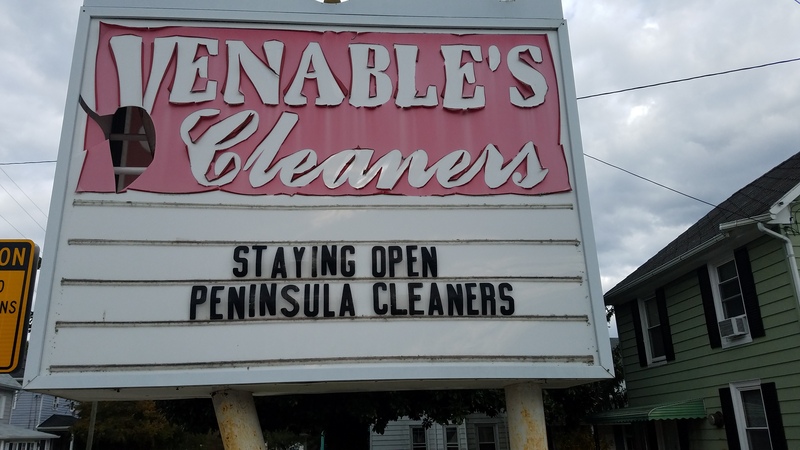 As Peninsula Cleaners already operates six locations in Wicomico County and Sussex County, Kypreos immediately thought of taking over the William Street store. Peninsula Cleaners has been in business 45 years, according to Kypreos. 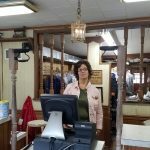 Janet Evans, who has worked for Venable’s Cleaners for 33 years, will manage the Berlin store for Peninsula Cleaners. Details were finalized quickly late last week and Peninsula Cleaners now has a long-term lease for the shop. He said that the other two Venable locations would, however, still be closing. All of the clothing not yet picked up from those locations will be available at the William Street store. 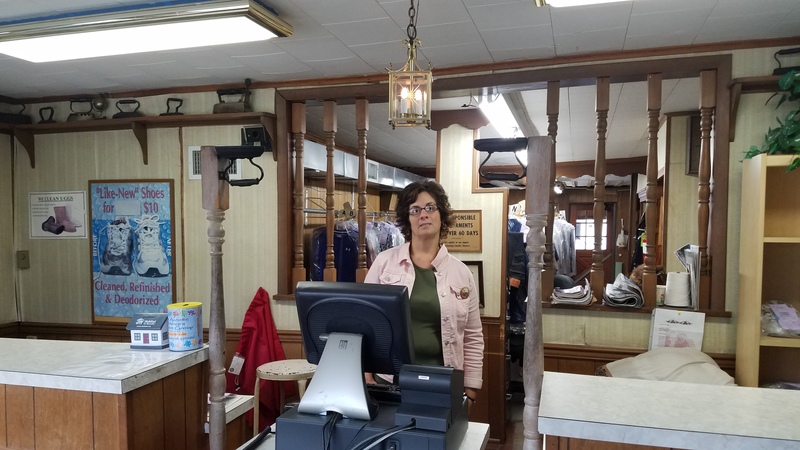 Kypreos said Janet Evans, who has worked at Venable’s Cleaners for 33 years, will stay on and run the William Street store for his company. Kypreos said that by keeping the store open, Peninsula Cleaners was also ensuring Berlin remained home to a dry cleaning shop. Otherwise, residents would have had to go to Ocean Pines or farther. He added that Peninsula Cleaners would be expanding the shop’s services. The company handles suit repair, alternations, drapes, rugs and tuxedo rental. “We’ll bring those services in as soon as we train the people,” he said. Peninsula Cleaners also offers pickup and delivery services at no extra cost. “Typically, we do a lot of business offices,” Kypreos said. As the latest Peninsula Cleaners location, the William Street store will also serve as a drop-off location for WMDT’s Keeping Warm on the Shore Coat Drive. From Nov. 12 through Dec. 8, area residents are encouraged to donate gently used winter coats. Peninsula Cleaners will collect and clean the coats so that they can be distributed to local charities this winter. Last year, the company cleaned and distributed 2,200 coats.